On a tastecation in Rome, I fell in love with the simple sauces of the region that utilize ingredients grown nearby. 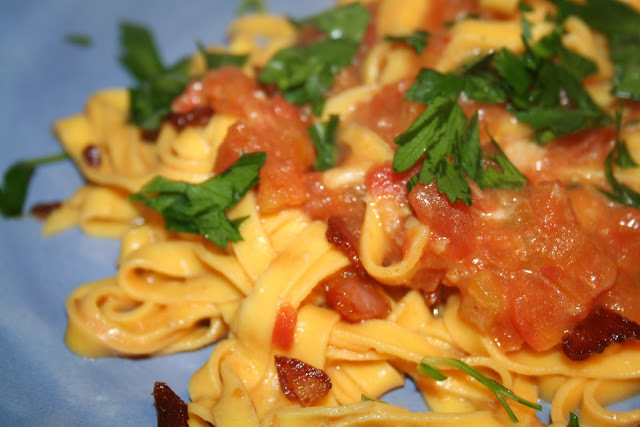 One of these was Bucatini all'Amatriciana which originated in the town of Amatrice. Like many recipes, it started with a bit of pasta and ended with whatever common people had in their homes. I'm not Italian, but I'm really into this way of cooking. As it so happened the other day, I had tried out Lucca Ravioli in my new neighborhood and had gotten pancetta, pecorino romano, and fresh fettucini. All I needed were some roma tomatoes from the corner market and I was ready for some tasty pasta. Sauté the guanciale in the olive oil over medium high heat. I had pancetta on hand, so I used this instead, cutting it into small pieces before cooking. While the meat is cooking, blanche the tomatoes. Remove the tomatoes from the water and reserve the water for the pasta. 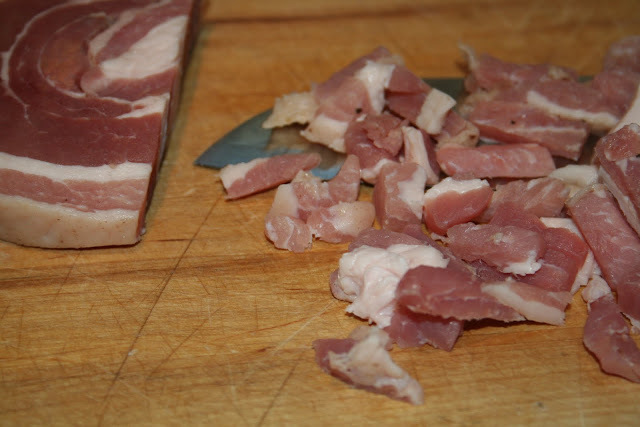 When the meat is crunchy, remove from the pan and add the garlic. 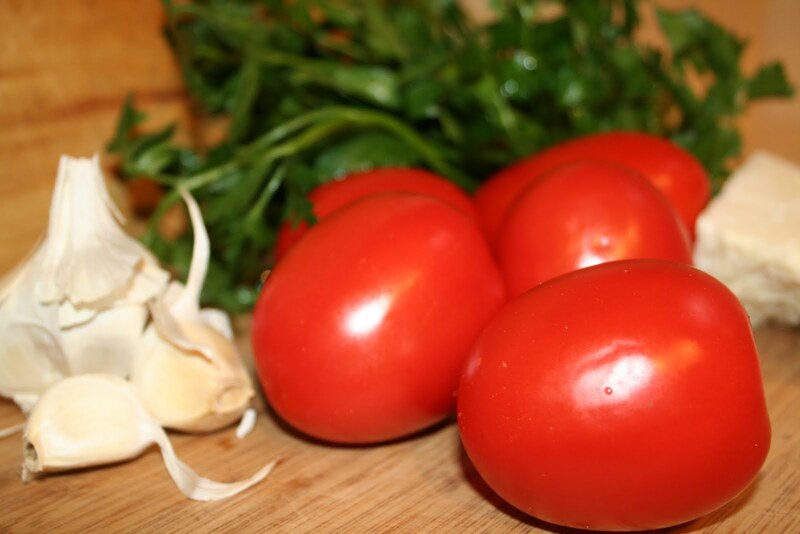 Sauté the garlic till translucent then add the blanched and crushed tomatoes all at once. 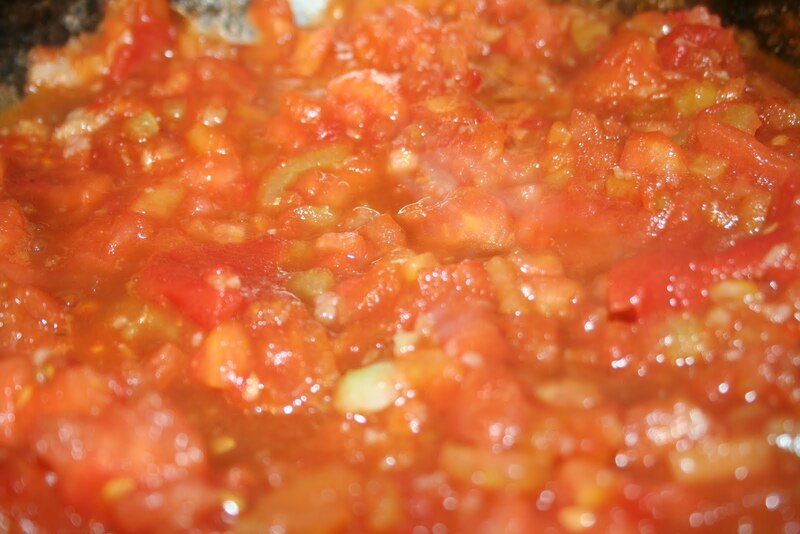 If you don't have good, fresh tomatoes or if you're in a hurry, simply use canned tomatoes. Add the vinegar and pepper and watch as it bubbles down. The sauce will pick up the flavor of the meat and the balsamic vinegar will add a bit of sweetness. Add the pasta to the boiling water. 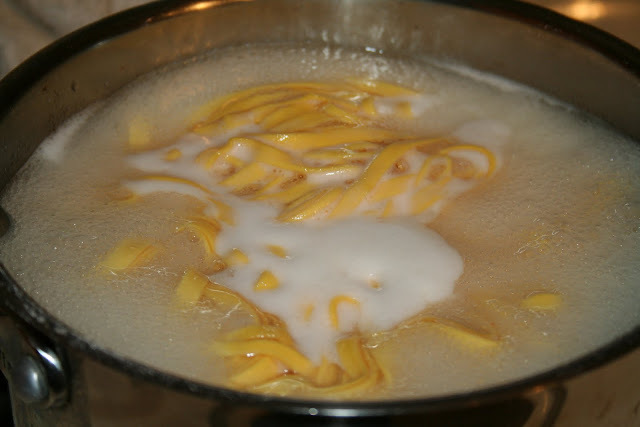 When the pasta has returned to a boil, spoon about 1-2 C of the pasta water into your sauce. It's pretty important to use good pasta here so that the water will be nice and starchy, making a thick gravy. Drain the pasta and add the cheese to the sauce. Stir until the cheese melts. Then add the pasta to the sauce and mix well. Top with the crispy meat. Optionally, sprinkle with cracked pepper and Italian parsley.